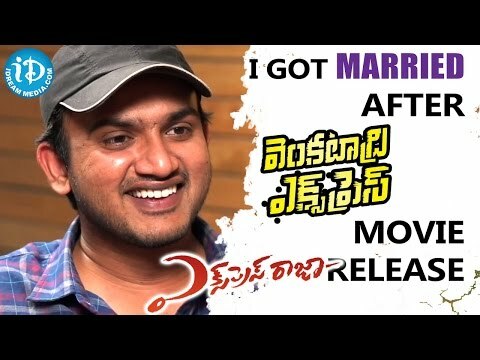 Actress Surabhi Exclusive Special Interview Express Raja Telugu Movie Special Sharwanand....! 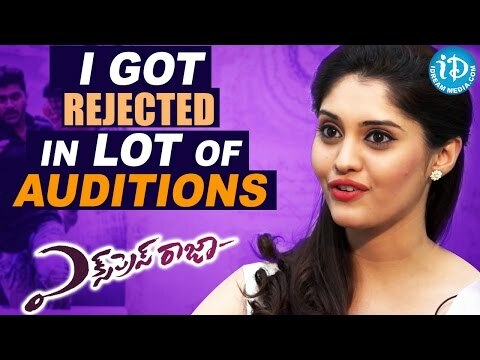 Surabhi Special Interview - Express Raja Movie - Sankranthi Special. For more latest updates on news : ► Subscribe to NTV News Channel: http://goo.gl/75PJ6m ► Like us on Facebook: http://www.facebook.com/NtvTelugu ► Follow us on Twitter At : http://www.twitter.com/ntvteluguhd ► Circle us on NTV News Channel G+: http://goo.gl/sJy2d8 Watch NTV Telugu News Channel, popular Telugu News channel which also owns India's first women's channel Vanitha TV, and India's most popular devotional channel Bhakti TV. Watch Express Raja Movie Heroine Surabhi and Director Gandhi Exclusive Interview where they shared their experience over Express Raja Movie making and funny movements in the movie. Express Raja Movie starring with Sharwanand, Surabhi, Sapthagiri, Brahmaji, Harish Uthaman. SUBSCRIBE Us : http://goo.gl/f9lm5E Like us on FB : https://www.facebook.com/hmtvnewslive Follow us on Twitter : https://twitter.com/hmtvlive Follow us on Google+ : https://plus.google.com/113173156913428845285/ Visit Us : http://www.hmtvlive.com/ Visit : http://www.thehansindia.com HMTV, a leading Telugu News Channel, brings to you all the latest news from around the world through breaking news, regional news, national news, international news, sports updates, entertainment gossips, business trends, political satires, crime reports, exclusive interview programs such as Coffees and Movies. Sharwanand Exclusive Interview || Express Raja Movie || Sankranthi Special || NTV For more latest updates on news : ► Subscribe to NTV News Channel: http://goo.gl/75PJ6m ► Like us on Facebook: http://www.facebook.com/NtvTelugu ► Follow us on Twitter At : http://www.twitter.com/ntvteluguhd ► Circle us on NTV News Channel G+: http://goo.gl/sJy2d8 Watch NTV Telugu News Channel, popular Telugu News channel which also owns India's first women's channel Vanitha TV, and India's most popular devotional channel Bhakti TV. Watch Express Raja Movie Interview. Sharwanand. Heroine. Director. Producer. Cast and Crew. Release Date.